Short Story Long: Guess Where! I've hosted guessing games on Short Story Long before, and had loads of fun putting it together. So much fun in fact, that I decided to host another guessing game today! Can you guess where this photo was taken? Michael! 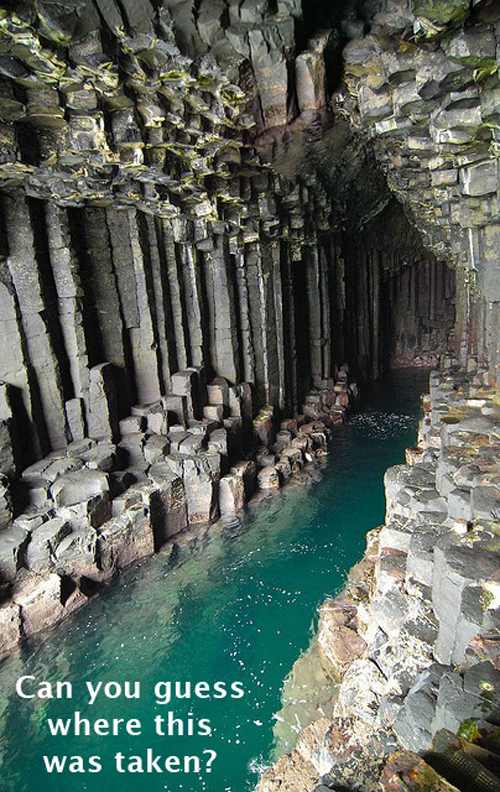 Brad was correct in that they are the Fingal's Cave, but it is located in Scotland. Thank you all for playing! Good guess, but no. It is an actual place. Could it be in Scotland? Fingal's Cave located in Fingals Cave, United Kingdom. (This is Brad Kompelien BTW). Is it a cave in Croatia? Is it a cave in Hawaii?